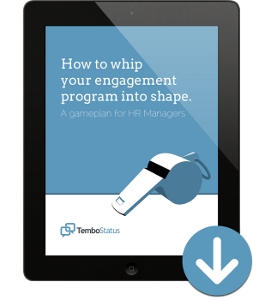 These resources will help you kick-start your employee engagement program. Everything from the questions to ask, the ones to avoid and what do once the data is in. 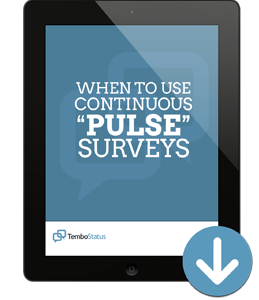 There's a ton of value in a more continuous approach to employee feedback, but there are some warning signs that you need to be mindful of if you're considering a "pulse only" approach to engagement. 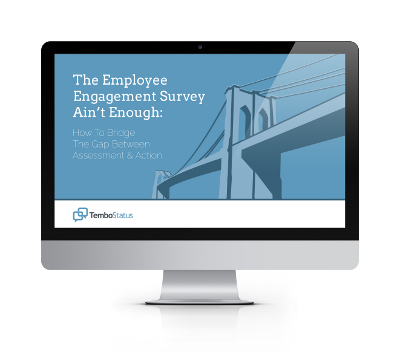 There's a lot of talk about employee engagement and many organizations do an annual survey, but you may be asking, "why should I do a survey?" 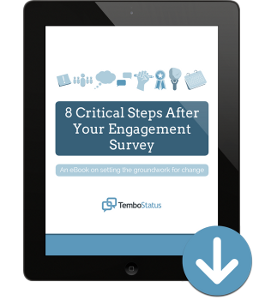 When thinking about conducting an engagement survey, one thing to consider is whether or not to include open-ended items. 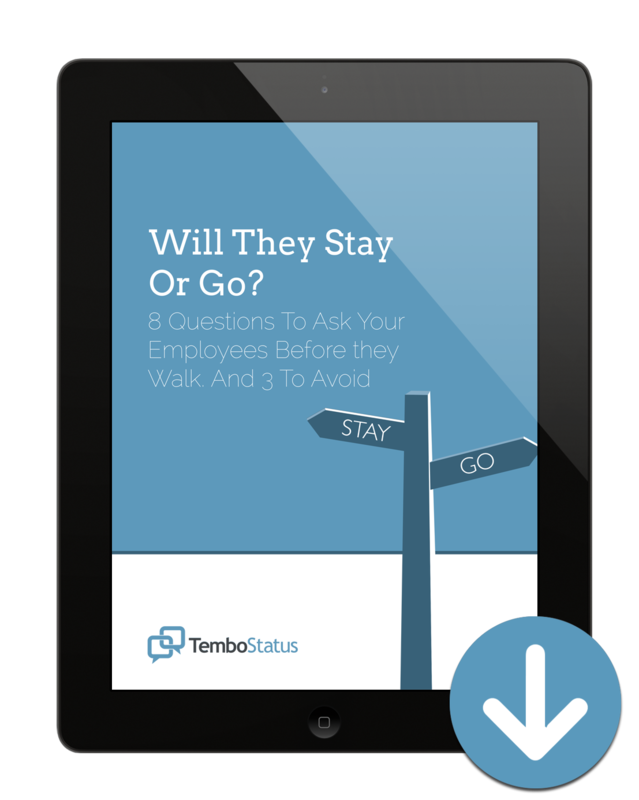 critical next steps, a game plan for HR managers and offer a peek behind the firewall at what your peers are doing. 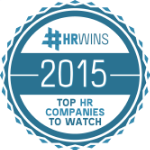 Once the data is in, it may seem like HR’s role is largely complete. Not true! In fact, this is when much of the heavy lifting really begins. Instead of focusing on fleeting engagement initiatives, companies should strive to create more powerful, lasting programs. Congratulations on completing your engagement survey. Now what?! In order to improve the likelihood that your change efforts will be successful, there are eight stages that should be followed. Avoid the costs of high turnover by applying these tactics to retaining your talent and engaging them in a meaningful dialogue. Everyone is familiar with exit interviews. But have you considered conducting stay interviews? While it’s important to understand why a person is leaving, it’s even more useful to understand what makes people stay. Nobody likes to give bad news. However, shying away from it and avoiding the situation often leads to larger problems down the road. One of the most challenging tasks that managers face is providing feedback to their employees. This checklist will show that to be effective, feedback should follow the following steps. 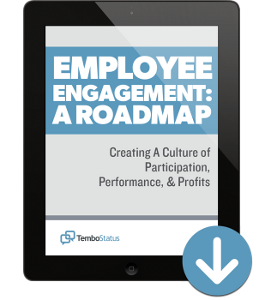 justify the expense and translate a Return on Engagement to the CEO. 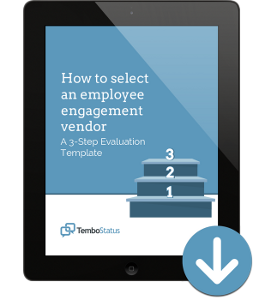 A successful employee engagement program requires partnering with a vendor throughout many stages of the process. 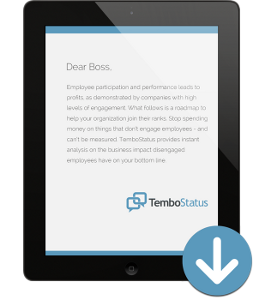 Use this letter to make your employee engagement software business case to your budget holder.